One train. Five breweries. Lots of beer. That equals all sorts of awesome. Hops on board (get it?!) 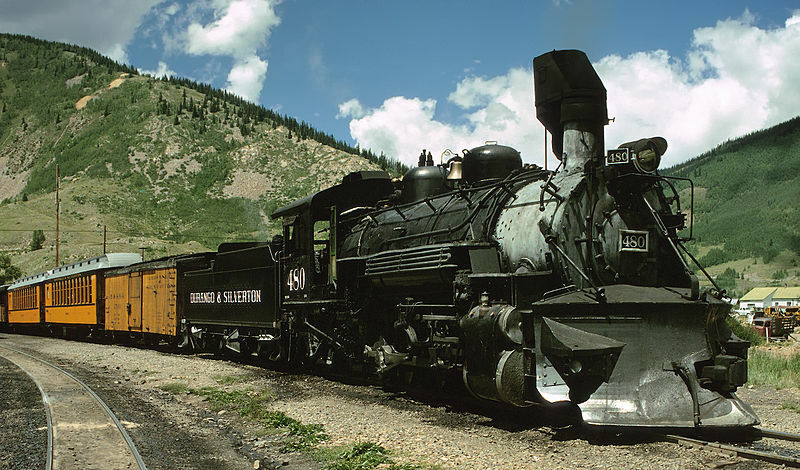 for the Durango and Silverton railroad’s inaugural Brew Train on Saturday, May 24 (and Aug. 30 and Sept. 20, but let’s not get ahead of ourselves). The Durango train is partnering with the city’s five local craft breweries — Brew Pub & Kitchen, Carver Brewing, Durango Brewing, Ska Brewing and Steamworks — for this 21-and-over ride, during which passengers will get to meet all five of Durango’s local brew masters. While the Durango train‘s authentic 1925 steam locomotive pulls the train through the Animas Valley, brewery staff will provide a light sampling of their beers and talk about the brewing process for each beer. When the train arrives at the wilderness area (the site of a historic, former dude ranch), passengers will be greeted by full sampling stations from each of the local breweries set up under a large tent. The two-hour stopover will also feature live music from bluegrass band The Badly Bent, hors d’oeuvres and lawn games. The best part? (As if it could get much better.) A portion of the proceeds will be donated to the United Way of Southwest Colorado. While you’re visiting Durango to get your fill of rails and ales, be sure to stay with us at the Durango Quality Inn!